Since its advent, LinkedIn emerged as an unrivalled platform where professionals from all over the world could connect under one virtual roof. Now, with over 500 million users, you’d be hard-pressed to find a better place online than LinkedIn to seek out professionals in your niche. And you are probably missing out on a lot by not leveraging LinkedIn. Therefore, in this post, we will talk about some effective LinkedIn marketing tips that you might be guilty of overlooking. However, before we get down to the ways to use LinkedIn to grow your business, I think we need to dispel any doubts you might have regarding LinkedIn’s potential to leave a mark for your brand. So, how effective LinkedIn really is? Rather than fluff talk about how effective LinkedIn is, let’s have a look at some jaw-dropping stats. 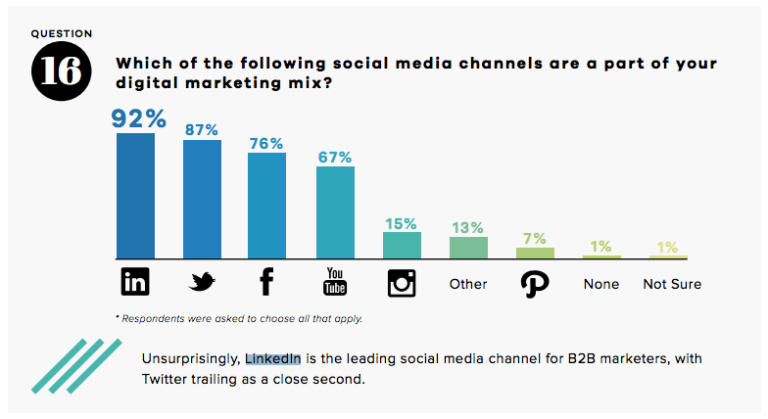 LinkedIn is the leading social media channel for B2B marketers, with Twitter trailing as a close second. 93% of B2B marketers feel that LinkedIn is the best place to win leads. All in all, it wouldn’t be wrong to call LinkedIn a lead magnet which is one of the most imperative prerequisites to grow a business. Now that we have established that LinkedIn is indeed a holy-grail for B2B marketers, let’s see how you can use LinkedIn to grow your business. LinkedIn gives you a chance to have a chance at drawing our global audience and covering them into leads. To get started, all you have to do is to create a Company Page. A normal profile simply wouldn’t do. Upload an image. And not just any image will do, you have to make sure that your image wholly showcases what your brand is. About Us section – this section entails everything that you want people to know about your brand, work ethics and culture. Avoid filling out About Us section with fluff that over promotes your brand. You have limited words, so try to leverage them fully. Fill out your website, industry, and additional information just below the About Us section. Location – now sharing your physical location is a very important feature that helps you to stay connected with leads in your local area. Local referrals also come in handy when you try to garner the trust of the larger audience. This is it. You are done setting up your company’s page successfully and it encapsulates your brand in the best way possible. LinkedIn is like a community where you can connect with like-minded people. They can be your prospects, your colleagues, friends, family or mere acquaintances. However, what do your connections have in common? Assume that you are at a seminar about digital marketing, and you are a sales professional representing your digital marketing agency – so how will you engage people with a motive to convert them into your lead? What would you say? You would, of course, try to engage them by talking something that would be helpful as well as interesting to them. LinkedIn isn’t any different, in fact, engaging your prospects on LinkedIn is considerably a lot simpler than hobnobbing at a seminar. Write articles on LinkedIn to engage your connections, something that is relevant and helpful to them. Once they see your prowess in your field, they are likely to be more inclined towards doing business with you. If you are a marketing agency, give out strategies and tips in your niche. If you are a real-estate broker, tell people about the best properties in your area. And the best part is, when people in your network like something that you write, they wouldn’t think twice before sharing it. And when people start sharing your content, it will reach an even larger audience resulting in a massive lead generation. Advertising with LinkedIn has come a long way ever since they added the matched audience feature. 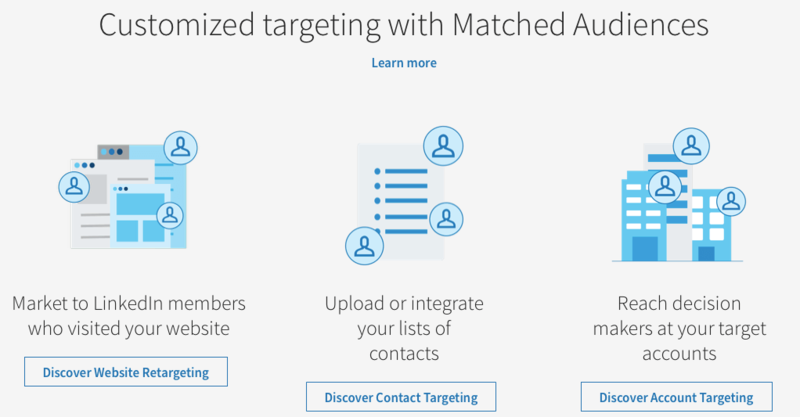 LinkedIn matched audience feature is steadily becoming a staple in marketing. You can create a regular text ad campaign, sponsor your content or send targeted messages with a sponsored InMail that will directly go down in your prospect’s inbox. 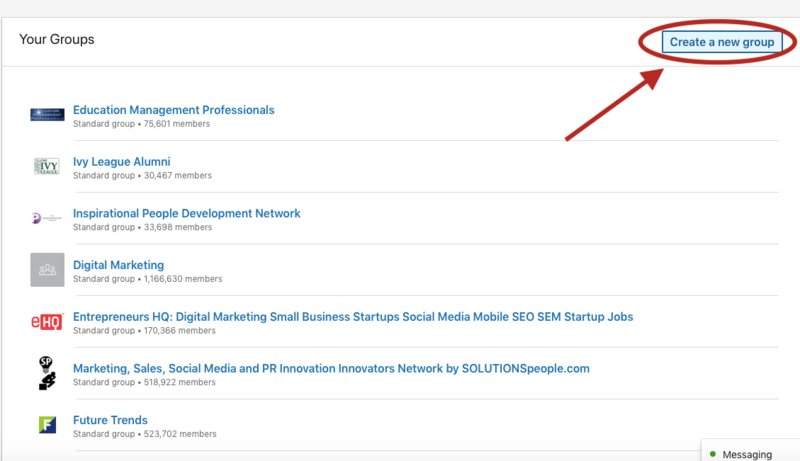 And the one feature that accounts for LinkedIn’s unparalleled success is matched audience tool. Before moving further, let’s skid to a halt and don’t get confused about the matched audience. It is actually very familiar and does the same thing as re-targeted ads. The only difference is of the platform and the moniker. So what is Matched Audience? Have you ever visited a website, looked around a bit and then took an abrupt exit? Then logged into your Facebook account just to witness an ad of the product (or similar product) you were looking at? These are called retargeting ads. Now coming to the matched audience, it works almost like retargeting ads and allows you to market to people who recently visited your website. It also allows you to upload your prospect’s contact information for a more optimised experience. Marketing has a lot to do with building connections – I hope we are on the same page about that. Now to market your brand, LinkedIn offers you an option to expand your connections by joining various groups. And the best part is, LinkedIn has groups for people of almost every profession. If you are an author, you can join groups that consist of authors or people looking to hire authors. If you are a digital marketer, you can join groups that are inundated with marketing professionals or marketing agencies. You will be able to share insights about your industry, engage with a massive global audience, build an authority in your niche which is likely to generate huge leads for you. And it’s absolutely free, not to say very simple. As simple as talking to a friend about your upcoming project. Starting your own group will take you one step ahead in marketing your product. If you can’t find a desirable community for your business, then go ahead and build it yourself. Pave the way for yourself and invite your audience who in turn will invite their audience, and connect with like-minded professionals. And when you own a group, it strengthens your position as a leader in your community which gives you an added advantage in marketing your brand. To get started, all you need to do is to go to your group section where you will find a “Create a new group” button. You will be redirected to another page, after which you’ll fill out some information regarding your group including your Group title, group description and group rules. Before you know, you will be the owner of a brand new ground. Start engaging with your prospects by churning out content that is relevant and helpful to them. Avoid a promotional tone, instead, focus on how your content is helping the audience. LinkedIn has gone all the way out to help out their audience to the platform’s potential to the fullest. 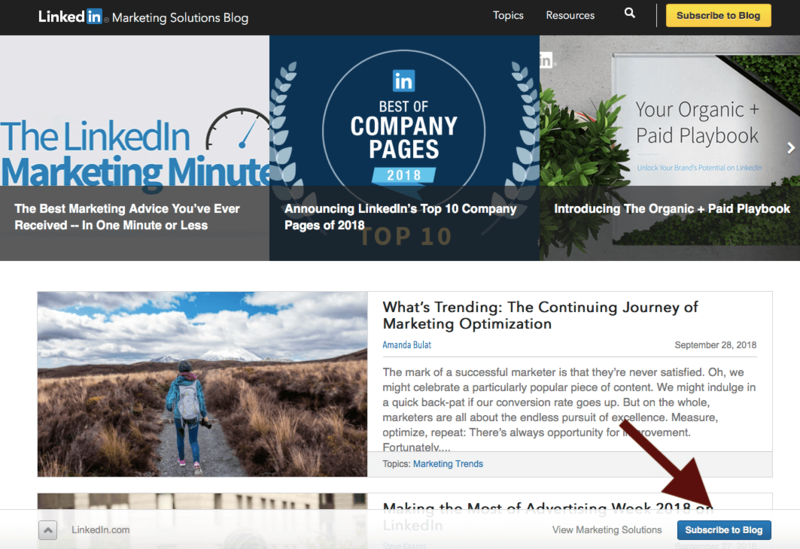 For this, LinkedIn has created a blog and they are calling it “LinkedIn Marketing” blog. This section is specially created by LinkedIn to help out people like you who are eager to market their product and grow their business using their platform. 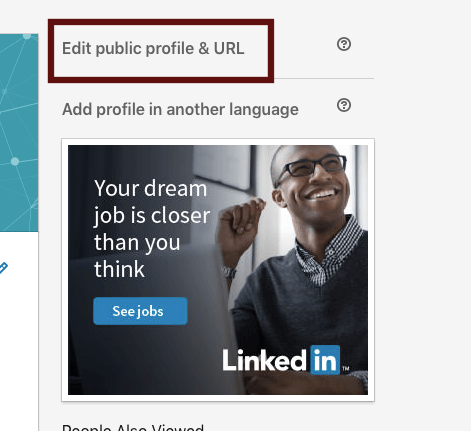 The blog entails posts on how to use LinkedIn’s toolkit, features, new features that are about to be released and much more. If you make it a habit go giving the blog posts a read daily, you will be well on your way of leveraging LinkedIn to its complete potential, resulting in unlimited growth for your business. Time and again, InMail has proven to be an integral and one of the most effective parts of the LinkedIn strategy. However, just like every wonderful thing, there’s a catch here – InMail falls under the ambit of LinkedIn’s paid features. But if you weigh down the pros and cons, paying $79 per month for something as wonderful is not exactly a downside. With InMail, you have the power to contact anyone on LinkedIn. Sometimes, while trying to connect to your prospect, your connection request might get hidden under the piles of other requests. However, with InMail, you can start prospecting without worrying over something as minuscule as getting your connection approved. And don’t doubt the potential on InMail, it is actually very effective. And the number speaks for themselves. According to a report by LinkedIn, InMail response rate is three times higher than a regular email. Make sure that ease up on your haywire agenda of promoting your brand, just try to get to know your prospects first with no agenda at the back of your mind. Get the conversation going and then gradually point out how your brand can service the prospect. This is where LinkedIn shines out the most juxtaposed to other social media platforms. LinkedIn knows the importance of distinguishing your prospect from a limitless clutter of audience all around the world. That is why they allow you to search for your prospect with an accuracy that rivals any other platform. Simply click on the search bar and select “People” from the drop-down that appears. Now, you can tailor your search results as per your preference. You can filter out your prospects using options like location, connections and even the company your prospect is currently working. And once you find your prospect, you can now make use of your LinkedIn InMail feature that you paid for and get down to the introduction part. And it doesn’t end here. If you want laser sharp results, you can utilize the more advanced search features by clicking on the All Filters button. From there, you will be able to narrow down your search even more and it is absolutely free. The motto is to find the individuals who are best suited to your organisation and someone you can build a connection with. 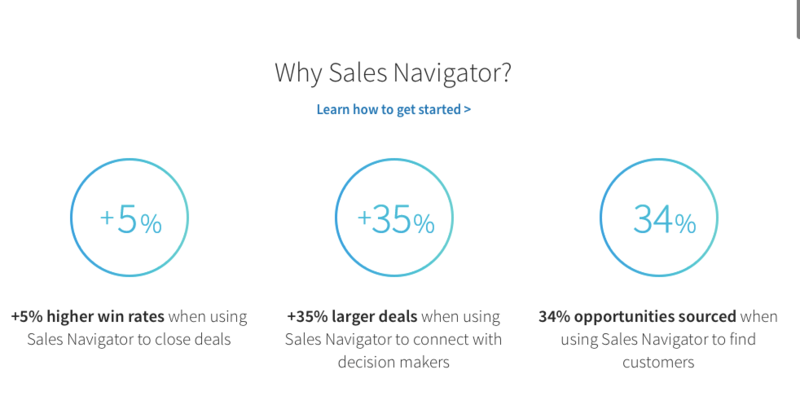 LinkedIn Sales Navigator completely automates your marketing and lead generation process and is touted as one of the best lead generation tools. It allows you to target, research, and engage with new prospects in one seamless motion. Although it comes with a price, however, LinkedIn says that you’ll be able to land 35% larger deals and be open to 34% more opportunities for your money. Even Microsoft boosted their sales productivity by 38% with its social selling pilot program centred on Sales Navigator. LinkedIn has a wonderful feature that allows you to recommend people who are good at their job or something that they do. This way you can vouch for the persons’ credibility in the field that you are recommending them for. How will recommending someone help you? For starters, you can grow your connections and secondly, once you recommend someone, chances are that the person might recommend you in return. This results in a great marketing tactic for your brand which is somewhat similar to testimonials and reviews. The more recommendations you have on your profile, more people will trust you resulting in more people going to have a look at your website and the services that you offer. This is one of the most coveted features which makes LinkedIn marketing stands out the most. Isn’t it wonderful to know who visits your social media page? LinkedIn allows this with their Who’s Viewed Your Profile feature. 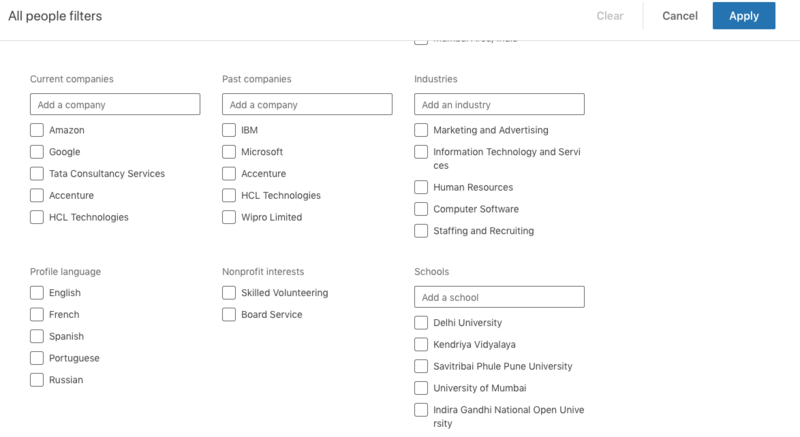 This tool, which is accessible in the main navigation via the Profile drop-down, enables you to identify which other LinkedIn users have visited your profile page. Maybe your prospects are checking out your profile but shying away from sending an InMail or a connection request? Your claims and your profile can hardly be persuading enough to pique the interest of your audience. Thus, integrate social proof that is, your past work in your profile to prove your credibility. This will show that you are not just talking incessantly but have facts and figures to back up your statement and you are indeed capable of walking your talk. You can even show case-studies which can disseminate how your enterprise made so and so achievements. Remember, the better your profile is, the better chances you will have to get more clicks and views, which will eventually result in more growth for your business. Businesses leave no stone unturned in their quest to market their product in the best light possible. From blog posts to info graphs showing their achievement and from videos to presentations, companies try various ways to engage their audience and give them reasons to avail their product. But isn’t it expected from a company to beat their own trumpets? Even if they are based on facts, but it still tantamount to promoting oneself. Now there are no two ways about the fact that when someone else promotes your business it holds more weight than when you do it yourself. Especially when people work in close vicinity with you or for you go out of their way to share your story with their audience. Keeping this in mind, LinkedIn came up with LinkedIn Elevate. LinkedIn Elevate helps out in your whole content promotion endeavour from start till the end partaking three steps Curate… Share … Measure. LinkedIn curates just the right kind of content for your employees to share. 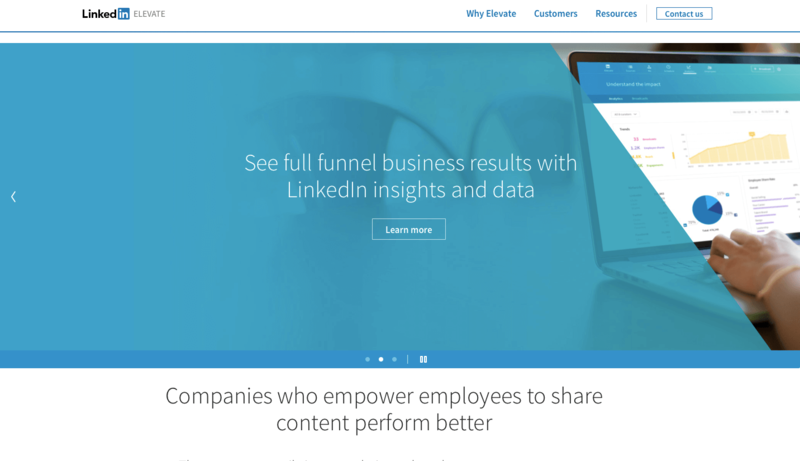 After that, LinkedIn Elevate captures your Return On Investment (ROI) and enables you to see which employee is responsible for what amount of traffic boost and which new hires or prospects were influenced by your employee. If you want to wholly market your brand then it will do you some good to be identifiable by your prospects. 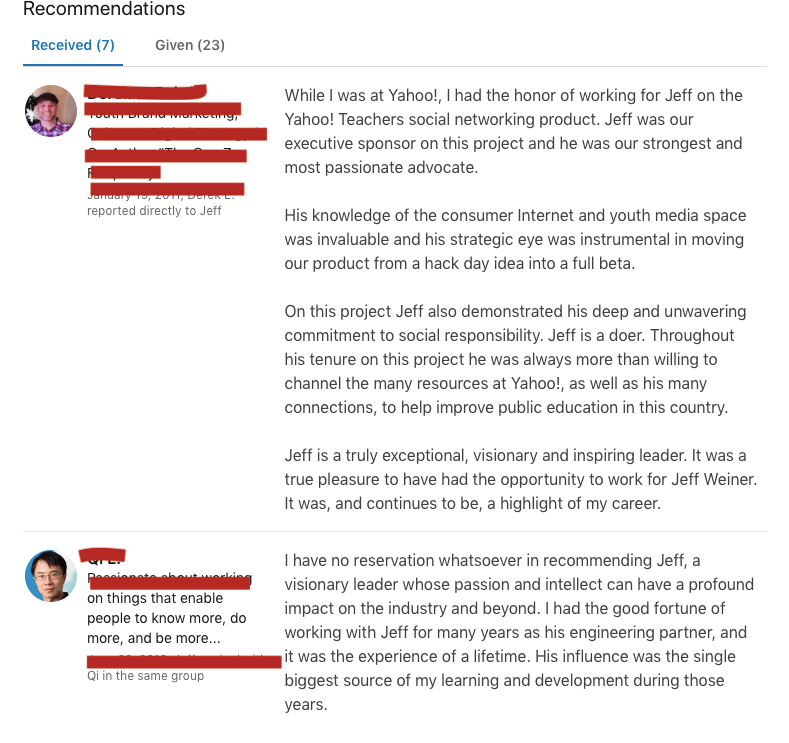 LinkedIn is not exactly the place to hide behind tons of privacy settings that don’t give your prospects even a single glimpse of who you are and what services you provide. After that, make sure you check off the Your name and headline option. This option will not only let you be identifiable for your prospects but also help you leverage point 11 in the list, that is, keeping an eye on people checking out your profile. LinkedIn allows you to sync your Twitter profile with LinkedIn and whatever you post on LinkedIn will be automatically tweeted on your Twitter profile as well. 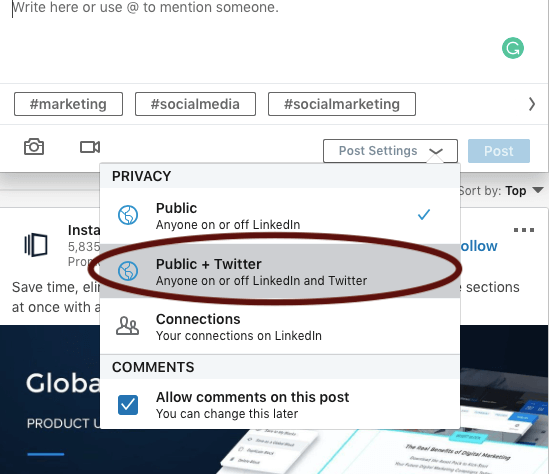 So if you are ever posting something on LinkedIn that you would like your Twitter audience to see, this saves you from a hassle of tweeting the same post. 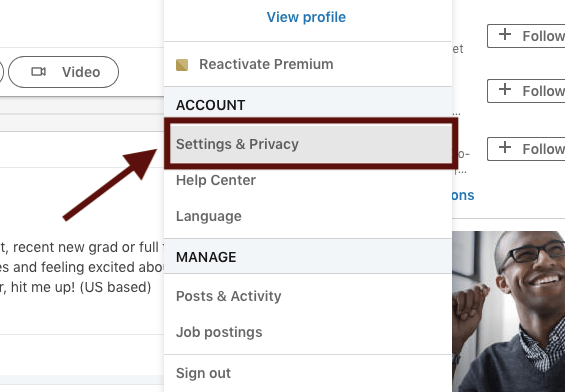 You can easily syndicate your LinkedIn post with Twitter by selecting the Public + Twitter option in the drop-down menu within the LinkedIn update composer. It is not something that a lot of people give importance to. However, such small things actually turn out to be much more useful than we ever think. You might think that what effect does customizing one’s public profile URL have on marketing their business. But it does make a lot of difference. For one, it makes your personal profile look more professional, not to say much easier to share. Plus, when you get rid of superfluous numbers at the end of your URL, it will look nice and clean. To change your public profile URL just go your profile and click Edit public profile & URL on the right rail. 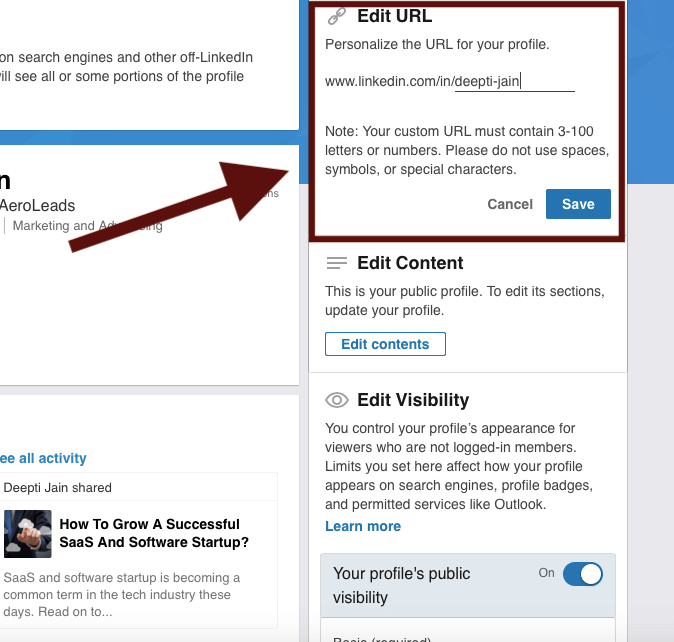 Optimize your URL to look something like – http://www.linkedin.com/in/yourname. Avoid lengthy numbers and optimise it to make it easily shareable. LinkedIn claims that 20 posts per month can help you reach 60 per cent of your unique audience. It is natural that the more you post, the more chances you have to reach a larger audience. Thus, start posting 20 quality posts each month and see for yourself whether sticking to a strict schedule is paying off. It turns out, if you post once every weekday, you will reach your target of 20 posts per month easily. You can never do enough to make your LinkedIn profile look engaging, so why leave out on adding a background photo? This will give your profit a little bit of needed personality which helps you attract the audience. Just keep in mind LinkedIn is a professional social network, so choose your photo accordingly. SEO is not confined to blogging or your professional website… you can also optimize your LinkedIn profile to get discovered by people searching for keywords you are related with. You can integrate these keywords in various section of your LinkedIn profile including your headline, bio and more. After going through the lengths of doing everything for your LinkedIn marketing campaign, now comes a point where you might want to know – how are your efforts faring? Are they even coming to fruition? If yes, to what extent? LinkedIn’s Company Page Analytics has an answer to all these questions. Using this, you can get to know about the effectiveness of your page’s status updates, your outreach and engagement. It also allows you to see how you are doing against other companies and other demographics. With so many wonderful features to tap into, LinkedIn had made itself an indispensable platform for marketers and other professionals. Just make sure to keep connecting with the wider audience and engaging them by churning our relevant content.